Do you want to become a qualified professional and have a competitive advantage in the job market? Are you looking for a Master’s degree to continue your journey to receive a PhD? 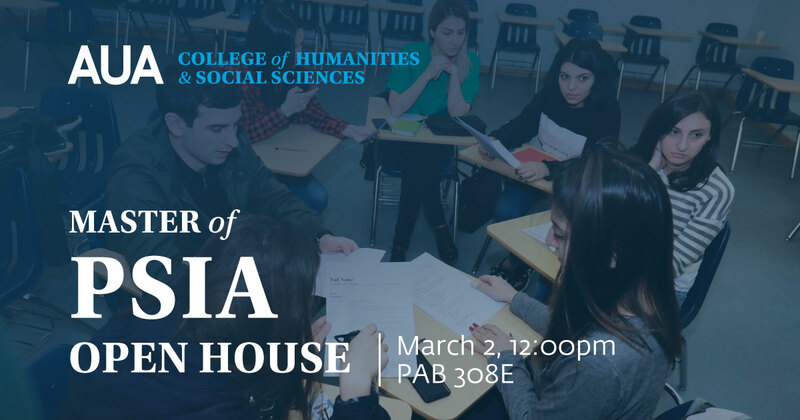 Join us for PSIA Open House at the American University of Armenia to find out more.